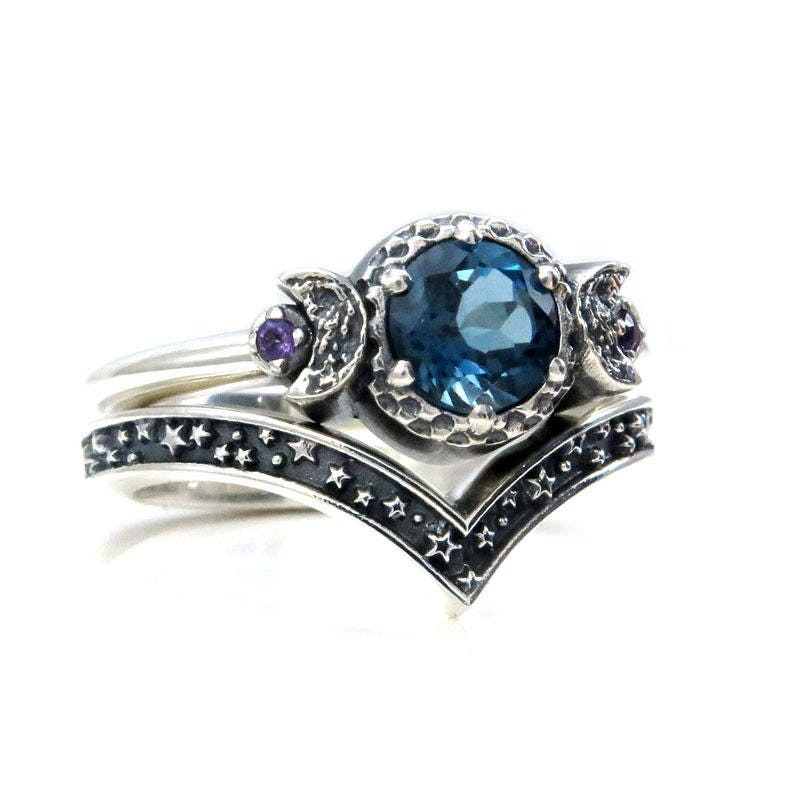 This super cool moon ring has a gorgeous faceted 6mm London Blue Topaz set in the center, representing the full moon. 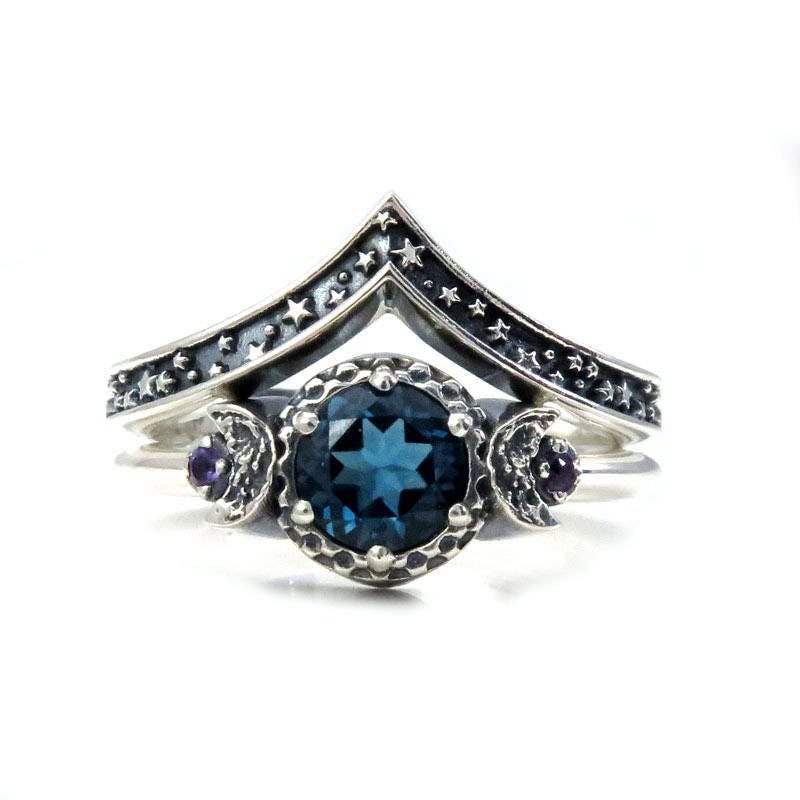 On either side of the London Blue Topaz is a crescent moon. I used a photo of the actual moon to create my digital crescent moon models so the craters are accurate. 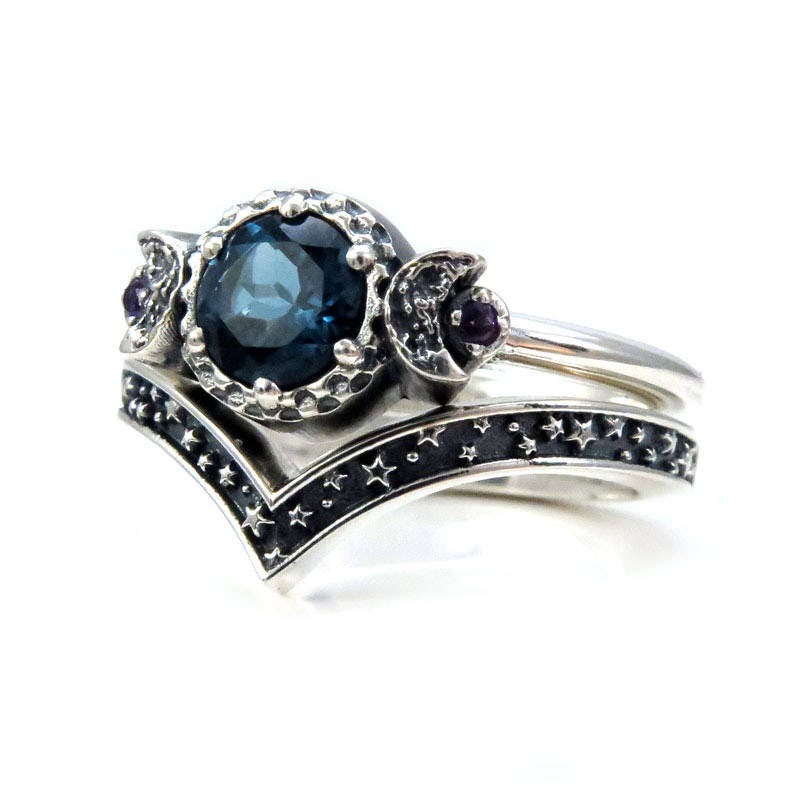 Nestled into each crescent moon is an amethyst (can also be set with black or white diamonds or sapphires). 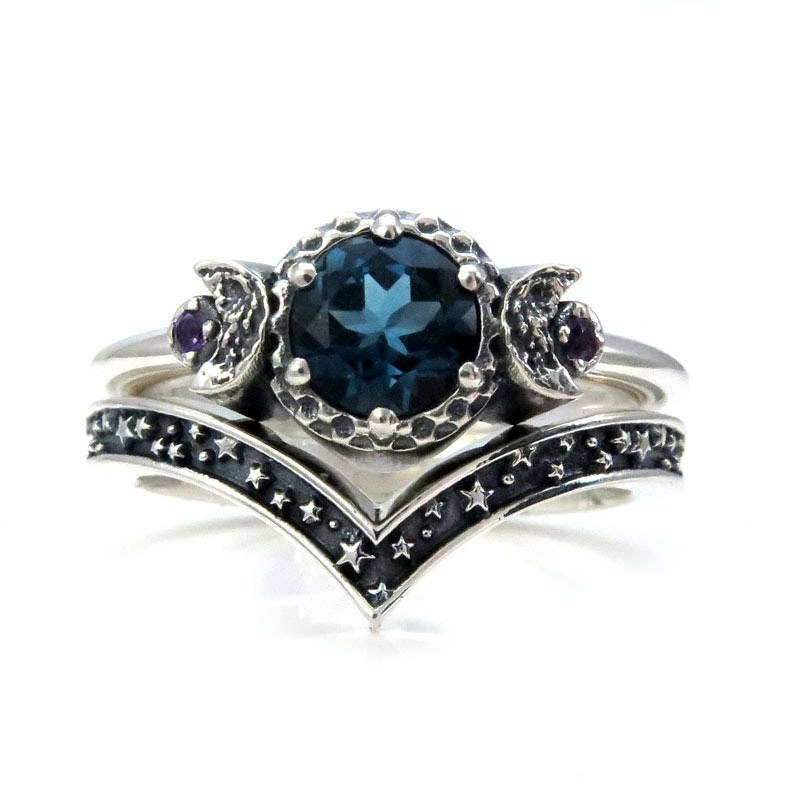 They have a combined carat weight of approximately .04 carats. 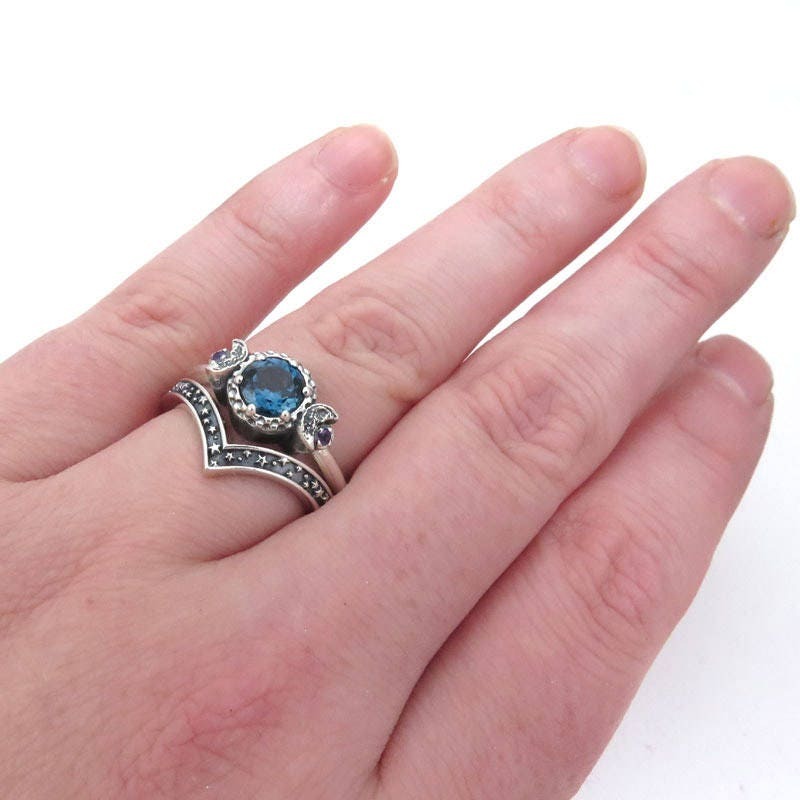 The London Blue Topaz weighs approximately 1 carat. 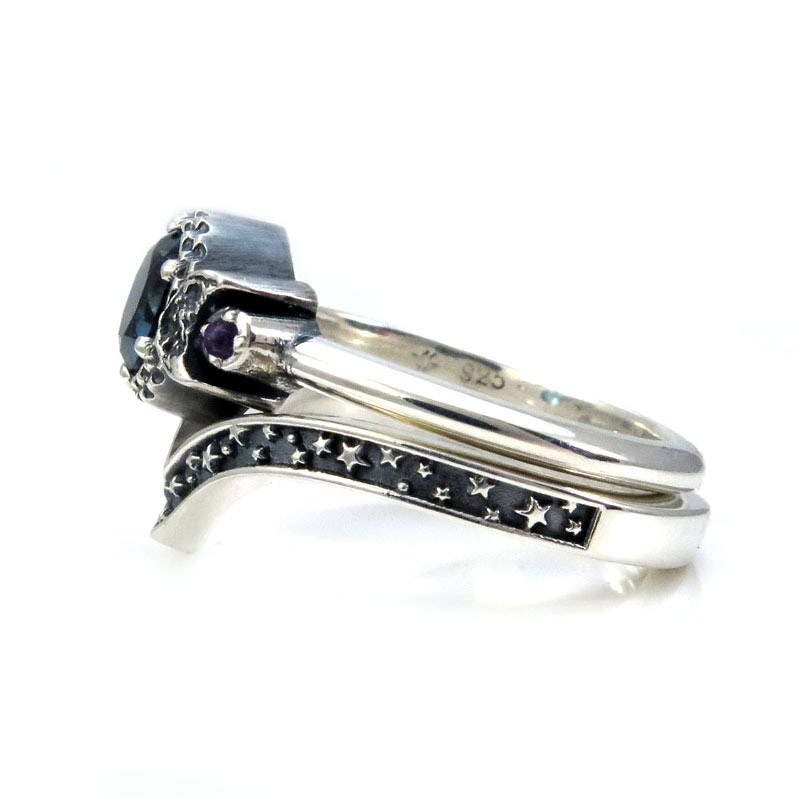 The wedding band is a chevron shaped stardust band. 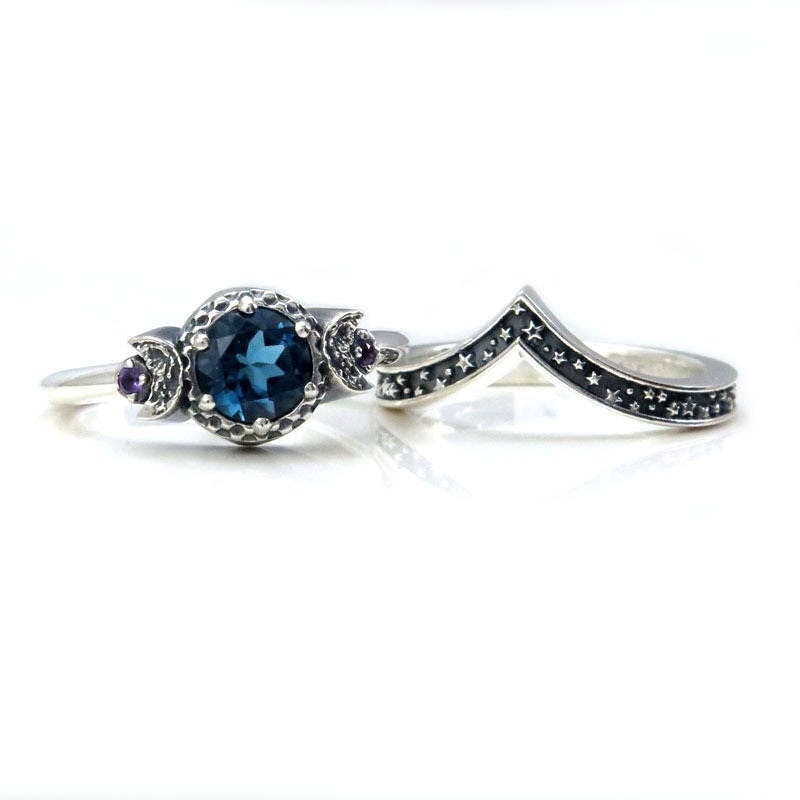 Both rings are cast in solid sterling silver, they have been oxidized and polished to bring out the details. When stacked the ring set is just under 14mm's wide across the top, the moon ring band is 2mm's and the stardust band is about 2.5mm's wide. 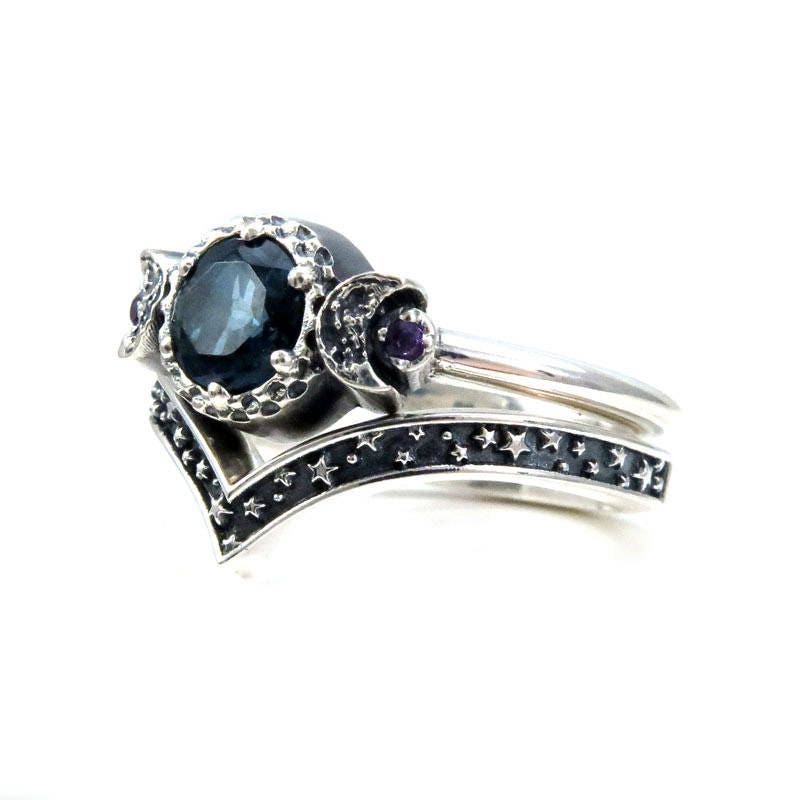 Your ring set will be made to order in your size, our turn around time is 4 weeks. 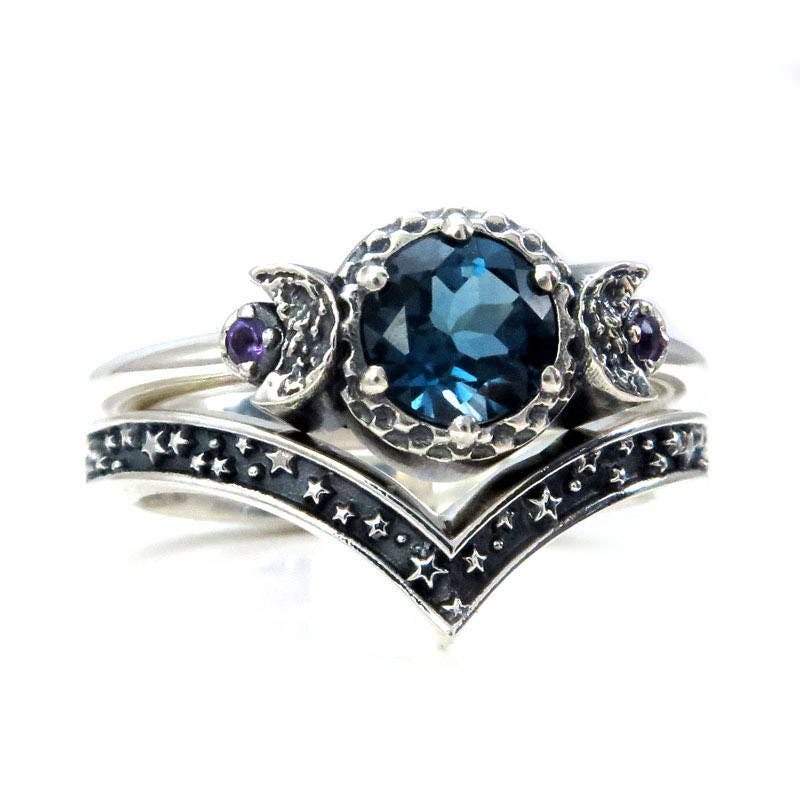 This is the most beautiful piece of jewelry I have ever seen! It's even more perfect than in the pictures. It was beautifully packaged and arrived quickly. Making time was the same as told. I love it!